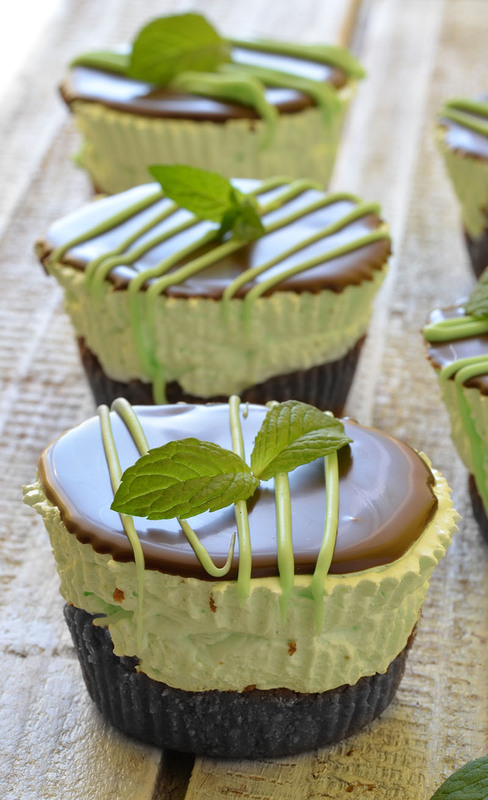 The Best Mini Mint Cheesecake – so easy to make, creamy and cute! 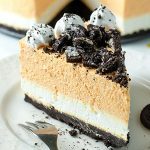 Absolutely delicious, The Best Mini Mint Cheesecake with an Oreo crust and only a few ingredients! 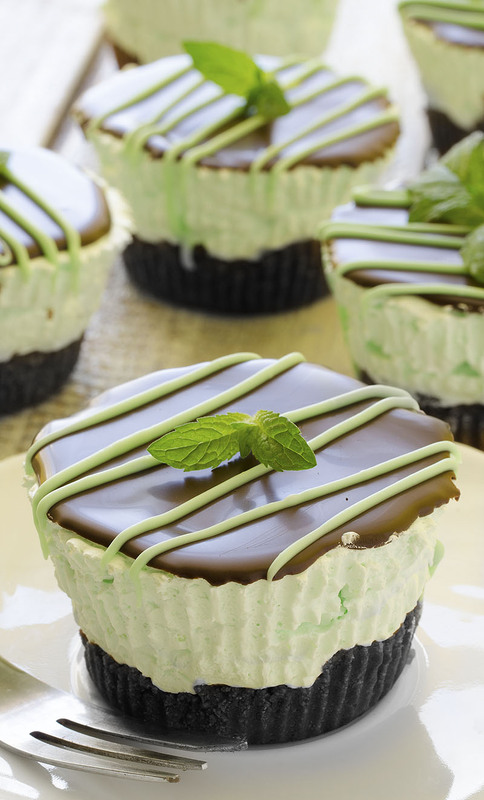 These Mini Mint Cheesecakes will enchant you. They look so good on your table, and they are so delicious, sweet and beautifully decorated. I often making similar treats and this Mini Mint is favorite to me. This Mini Mint Cheesecake is only mine way of preparing, so if you like any other taste, you can use it too. 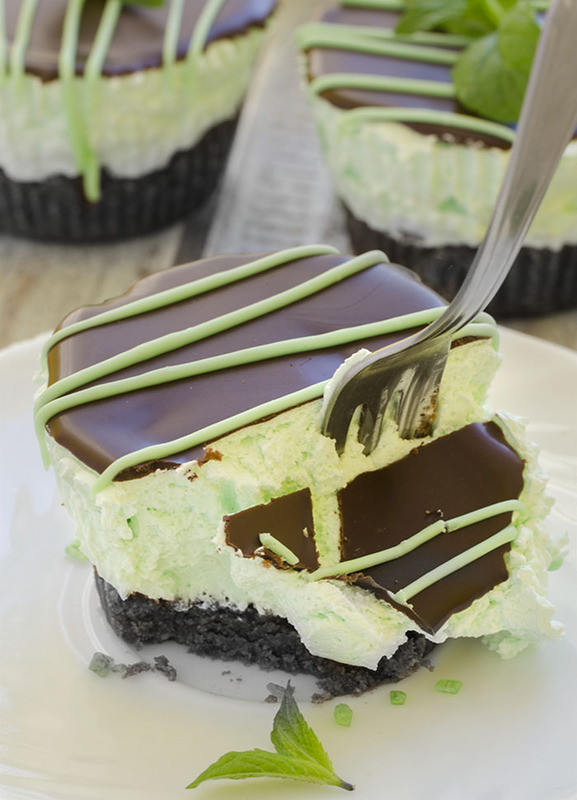 The Best Mini Mint Cheesecake is recipe which is great when friends are coming over. 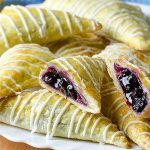 It is very easy to make, very tasty and everybody like it! You can very easy make this cake, but the harder part is waiting to tighten, because we like it very much and can’t wait to try this perfection. This Mini Cheesecakes I have made with many different fruits, for example strawberries, cherries, raspberries, but my daughter Sarah were on the birthday party and when she came home she talked to me, how she is thrilled with these mint cakes. I thought how I can make that, too. 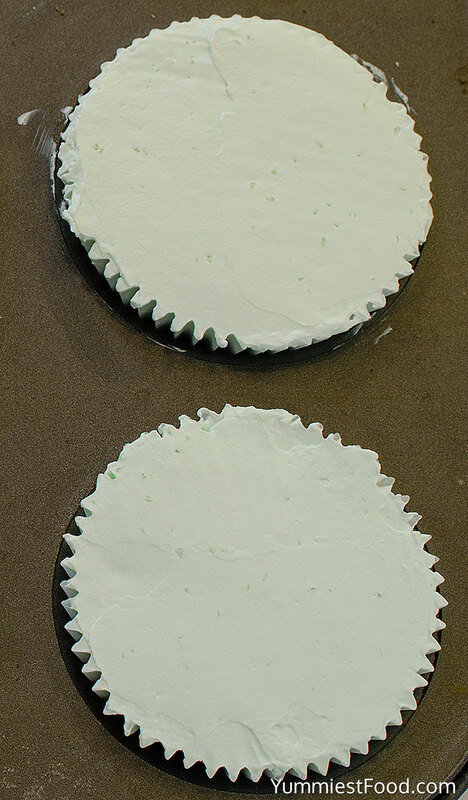 I know, crust is going to be with her favorite Oreo cookies, little cream cheese, little bit of mint extract and of course, green food color. Of course, my daughter was thrilled again, and I was very happy. 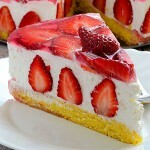 Whenever I try to make something different, I always come to the conclusion that our favorite cake is cheesecake. 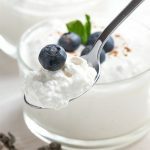 Beautiful, light taste with a lot of cream. 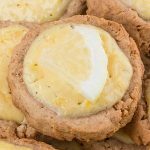 These are definitely The Best Mini Mint Cheesecakes, easy to make and I am sure that you will love them very much. Enjoy! 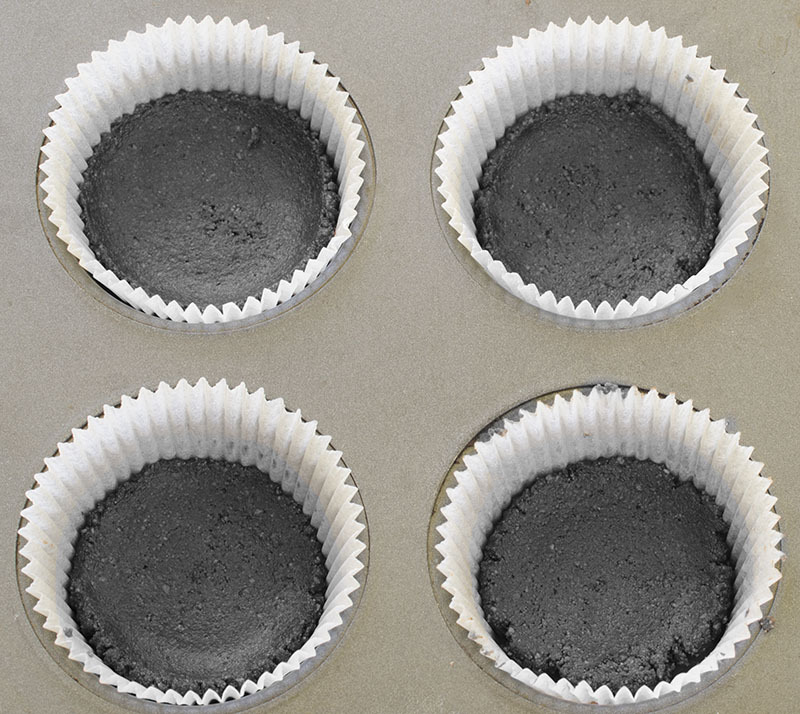 Line a regular sized cupcake pan with 12 liners, set aside. Stir together unsalted melted butter and Oreo crumbs. Add mint extract, vanilla, green food color until desired green color, mix until just combined. Spoon the cheesecake batter onto the crusts to make the cups almost full. Melt chocolate chips in the microwave and add on the fill. Top with any desired garnishes and serve. what is the average yield of cupcakes on this recipe? Hi William, you can get 12 cupcakes on this recipe. Good luck! 4 Spoon the cheesecake batter onto the crusts to make the cups almost full. 5 Leave in the fridge for 1 hour. I am ASSUMING want them baked before putting in the fridge, correct? Hi Joann! You are right, you need to bake them first. Enjoy! Hi Sheetal, you need to bake it for 5 minutes. Good luck and enjoy! Hi, based on instructions and comments I am confused as to whether these require baking AFTER the cheesecake filling is added. 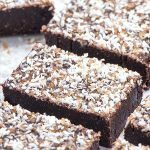 I understand that I need to bake the crusts first…but do they go back in the oven with the filling or straight into the fridge? Hi Cayce, leave them straight into the fridge. Good luck and enjoy! 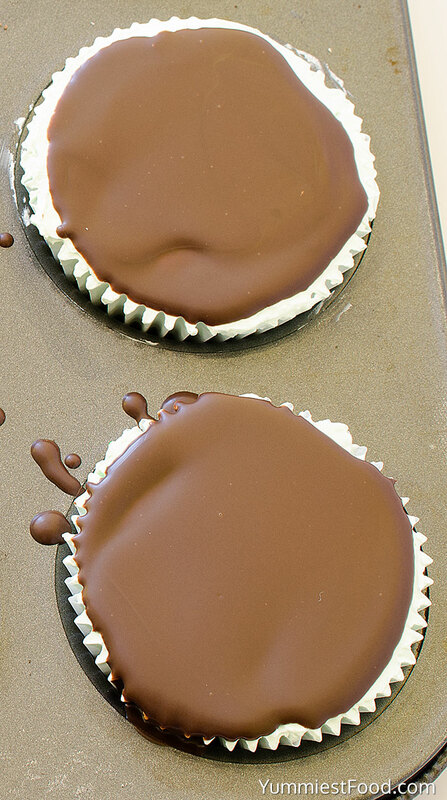 Just to clarify….you only bake the cheesecake filling for 5 minutes? Hi Jennifer, you need to bake crusts first for 5 minutes then spoon the cheesecake batter onto the crusts to make the cups almost full and then leave in the fridge for 1 hour. Enjoy! 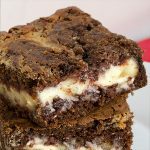 Great dessert recipe for any party! Are these the mini cupcakes or regular cupcakes? Hi Rosemarie, These are regular cupcakes. Good luck and enjoy! I wonder how this would do in a springform pan and do one big one? 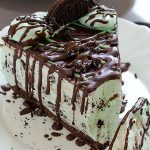 Hi Tonya, I’m sorry I haven’t tried, but you can check my recipe No Bake Oreo Mint Cheesecake were I use springform pan 9″. Good luck! Love the cheese cakes but couldn’t get the chocolate as smooth. Please tell me how to do that. Hi Heidi, Melt chocolate chips in microwave by heating for 30 seconds then stirring and repeating until melted and smooth. Enjoy! Hi there! Can you tell me how to do that green sauce you decorate,please!! Hi Dominic, I melt white chocolate chips and add a few drops of green food color then transfer melted chocolate to a ziplock bag, cut off the corner and drizzle over the top. Hope that helps!